YouTube Moderators are calling out the platform for ignoring reports of abusive content, and allowing thousands of sexual predators to flourish. As the mainstream media catches up to the fact that YouTube has become a breeding ground for pedophiles with hundreds of questionable videos — with billions of views — and thousands of sexual comments that face little oversight, the platform’s moderators are claiming that its system for reporting abuse has not been working properly for over a year. The moderators, who are referred to as YouTube’s “Trusted Flaggers,” are charged with flagging inappropriate content and reporting the users who are violating the platform’s policies. However, they claim that in many cases, the accounts they report face no consequences. 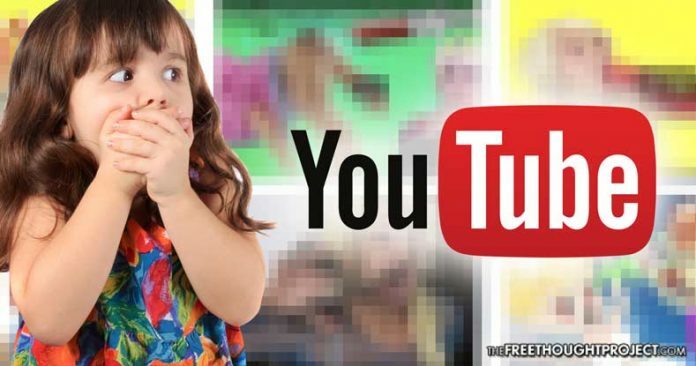 An investigation conducted by BBC reporter Elizabeth Cassin looked into the sexual, lewd and other inappropriate comments that are left on YouTube’s videos for children—even after those accounts are reported by moderators. After making a list of comments they believed were in clear violation of YouTube’s child endangerment policies, Cassin’s team reported 28 accounts to YouTube. “Two weeks later, 23 of these accounts still remained on the site,” Cassin said. While YouTube claims that it is devoted to ending “child endangerment” on its platform, the fact is that the adults who fill the comments section of children’s videos with inappropriate and suggestive language, are not the only thing putting children in danger.